Newark, Calif., June 29, 2015—RoseRyan, a leading accounting and finance firm that delivers specialized consulting services, has been recognized by the Bay Area News Group as one of the Top 100 Workplaces in the region. RoseRyan ranked 40th in the Small Companies category, achieving outstanding results for its overall organizational health, as reported by its employees in a confidential survey. This is the first year RoseRyan participated in the Top 100 Workplaces list, which is based on results from an independent employee survey conducted by WorkplaceDynamics. Through the survey, employees’ opinions about their jobs and their employer’s long-term outlook were assessed. For organizational health, several factors were evaluated, such as whether RoseRyan is heading in the right direction, how it executes and whether its employees feel they are a part of something meaningful. For the individual job ratings, the survey measured how employees view their work, their manager as well as their pay and benefits. RoseRyan’s results were high in strategy, ethics/values and confidence in its leadership. The firm achieved particularly high scores in the areas of efficiency and execution. The results indicate that employees know where RoseRyan is headed, they think that the firm embraces new ideas and they feel connected. These areas plus many others contributed to the firm’s selection for this year’s list. The list appeared in Bay Area News Group media outlets, including the San Jose Mercury News, the Contra Costa Times and the Oakland Tribune. It was published Sunday in a special supplement and featured information and photos about the firm. RoseRyan is widely recognized for its friendly, pragmatic culture. The Bay Area consulting firm delivers specialized finance and accounting firepower exactly when and where it’s needed for a variety of companies all kinds, shapes and sizes, and is hiring. Currently, RoseRyan is hiring seasoned accounting and finance professionals across the board for engagements throughout the Bay Area. Learn more about our positions here. To start the conversation about a career in finance and accounting consulting with RoseRyan, email Michelle Hickam, talent manager, at mhickam@roseryan.com. Contact her today to explore if RoseRyan might be the right fit for you! 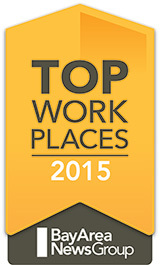 WorkplaceDynamics, LLC, is a leading research firm on organizational health and employee engagement. WorkplaceDynamics conducts regional Top Workplaces programs with 45 major publishing partners across the United States. Over the past year, more than 6,000 organizations and 1 in every 88 employees in the U.S. have turned to WorkplaceDynamics to better understand what’s on the minds of their employees. RoseRyan is a finance and accounting consulting firm that tackles critical assignments for companies at any stage of their business lifecycle. Nationally recognized within its field, RoseRyan has helped more than 700 clients of all kinds and sizes since 1993 by delivering specialized finance and accounting firepower exactly when and where it’s needed. From the startup that needs an interim CFO and scalable infrastructure to the publicly traded enterprise challenged with tricky transactions and complex compliance issues, our seasoned pros can help your team or be your team. Whatever the milestone, whatever the challenge, we offer up a savvy blend of public accounting expertise and industry know-how. Based in the San Francisco Bay Area, we have particularly deep experience in technology and the life sciences. Recent and current clients include Genomic Health, Nature Box, Tesla Motors, Gilead Sciences, NVIDIA and Philips Lumileds. For more information, visit www.roseryan.com.